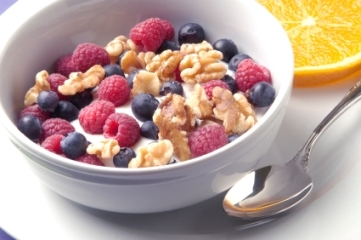 What do top sports nutritionists recommend for the most important meal of the day, breakfast? If really in a hurry, whole grain cereal in a plastic baggy, milk in a shaker bottle and whatever fruit is on hand. Traditional breakfast foods such as eggs, toast, oatmeal, etc. 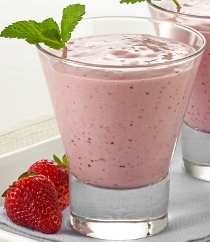 Greek yogurt with fresh berries or low fat vanilla yogurt with fresh, frozen or canned fruit with crunchy whole grain cereal. Cynthia Lair says if you are tired of the same old breakfasts, try something a little different like Chinese Vegetable Fried Rice. All you need is leftover rice, some vegetables, an egg, and about 5-7 minutes.